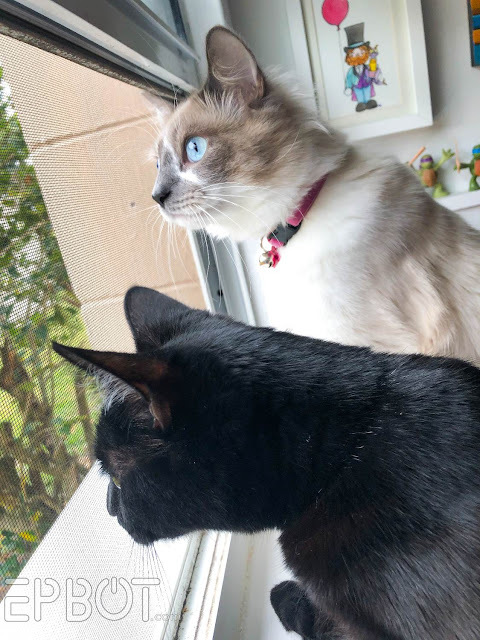 They spent the entire time scrabbling at the closed door like blood-thirsty wolves. 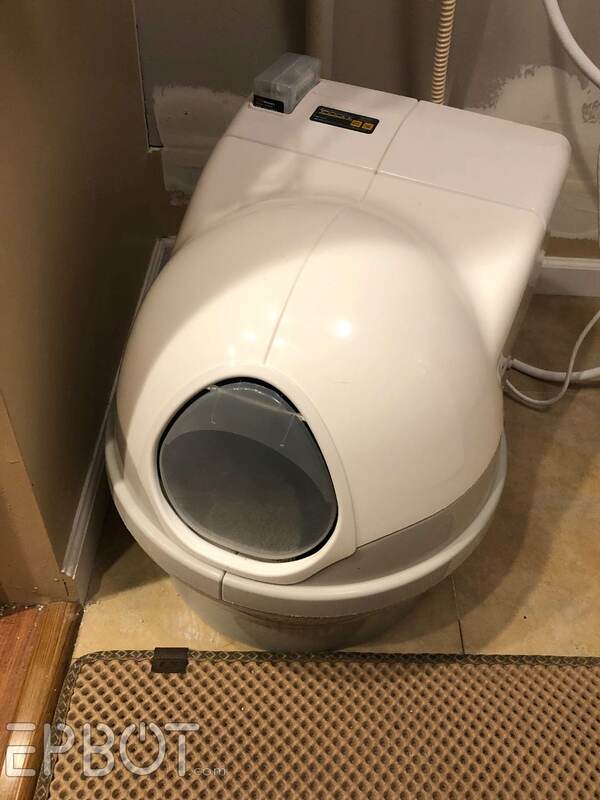 Because the worst part of this week - more than no showers, more than brushing with bottled water - was going back to a traditional litter box for two days. DANG. Y'all who do that full time should be sainted, knighted, and given free chocolate for a year. I wanted to kiss our Cat Genie by the time John hooked it back up again. BLESS YOU, CAT GENIE. Not gonna lie, seeing her giant tail twitching around outside the box cracks me up every. time. I didn't mean to turn this into a Cat Genie commercial, but if you want one - and the only litter mat that works for the pellets - you might browse the new Amazon page John and I are putting together. It's still a work in progress, but I linked these and a bunch more stuff we use over there. Today John's been plastering and re-texturing, then tonight we hope to paint and get the house back together. Fingers crossed! AW YEAH. Review coming soon! This t-shirt was being advertised on Facebook for $30, and the reviews claimed the site was a scam. Heartbroken, I went hunting elsewhere online... and found it on Amazon for $17! WOOT! 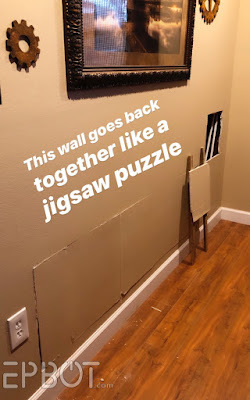 Wait ... so y'all voluntarily tore your walls apart to replace pvc with pex just because? Kinda, yeah. 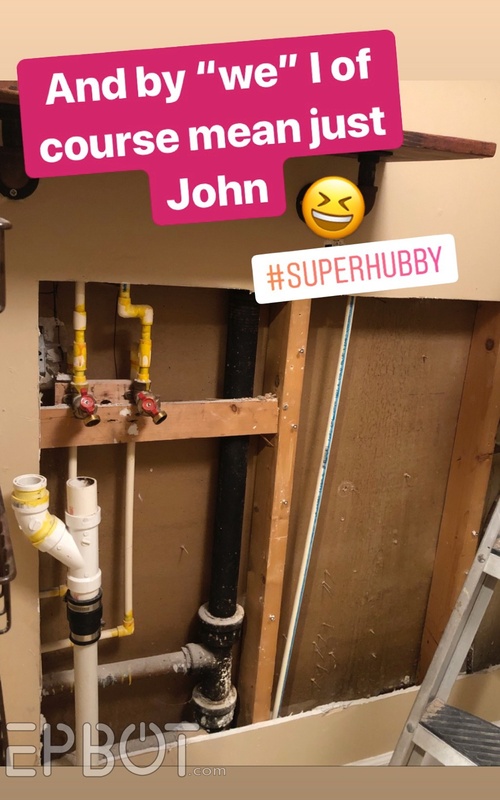 :D John's wanted to redo it for years, though; he lived in constant fear of a pipe bursting, since CPVC has been downgraded to only a 10-year lifespan since we installed it. 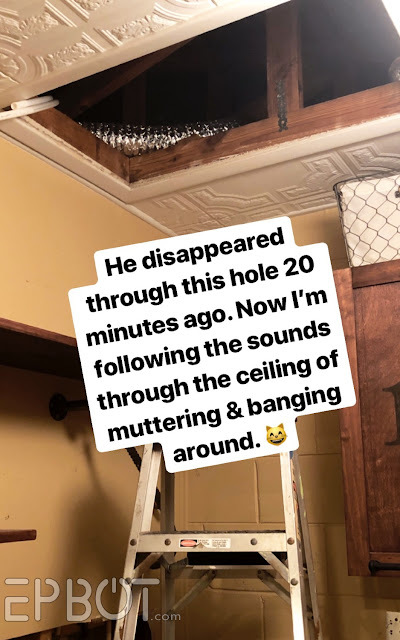 Plus while he was up in the attic he found wet moldy patches on some of the joints, so it was definitely on its last legs. While I like copper also, it has lost a lot of it's luster since my great-aunt's home got struck by lightening and every joint in the house melted. Completely destroyed the house. Yeah, copper is huge no-no here in Florida, since lightning causes pin-hole leaks in it. And lucky us, we're the lightning capital of the world! 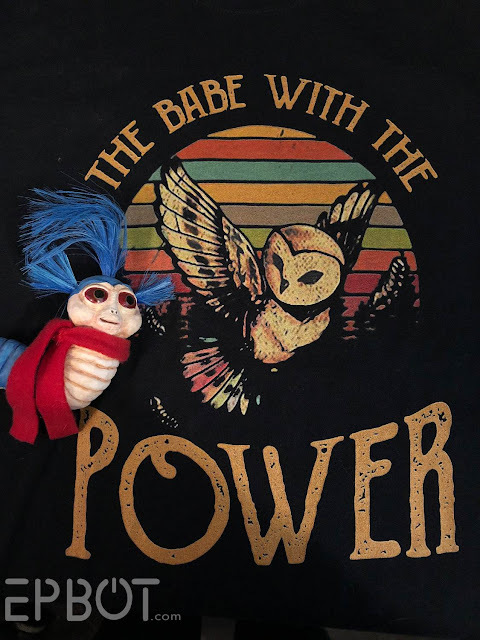 I want a shirt that says "The Babe With The Power Tools"! Does John hire out? We live close to that other Disney place. ;) You guys seriously impress with all of your talents! Maybe the -37 Celsius windchill has dulled my brain, but I can't figure out what TWIP means. 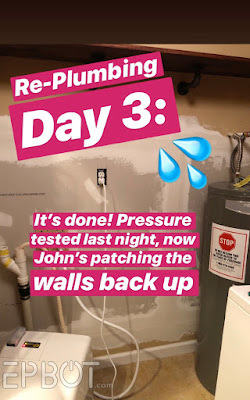 "This week in plumbing"? Help! Also, I've never heard of a Cat Genie - I'll have to look it up. I think I have copper plumbing in my place. Hopefully no re-plumbing is required - as long as the pipes don't freeze! Not related, but you need to check out Cold Spot Pottery on Facebook. She's out of Alaska and makes amazing seahorses. Thanks for the dose of funny/reality. I spent the week in a hospital bed (am still there right now) after having the back half of my neck removed. I get to go home tomorrow though! Get well/recovered soon we3ernes! That sounds like no fun. Wait go back...the cat box is plumbed? I don't own a cat so maybe cat boxes are passe...? Only this particular kind of cat box; it's hooked up to both the water and drain so it can self-clean. Nearly a year ago, we were preparing our suburban home for sale. The walls had just been painted and new carpeting installed. Then we found a leak we HAD to fix. The plumbing involved was also below the home's foundation. To fix it, we had to re-plumb the entire house and run the pipes through walls that never had it before. My plumber finished and my painter returned to patch the 30+ holes and repaint. Never again do I want to go through that. It's done. I survived. The house sold and the new owners love it. Ug, we've helped friends get through that very scenario a few times: the actual re-plumbing is often the easy part, but then you're left with patching your swiss cheese walls! It's awful, I wouldn't wish it on anyone. Well, a few things. I have a real owl in my yard right now, he's been hooting out there for a couple of days. We live in So. Cal. and the good news is, all the rain in this desert for the last few days has really cleaned my solar panels of a year's accumulation of dust. The bad news is, there isn't any sun, so it doesn't really matter right now. 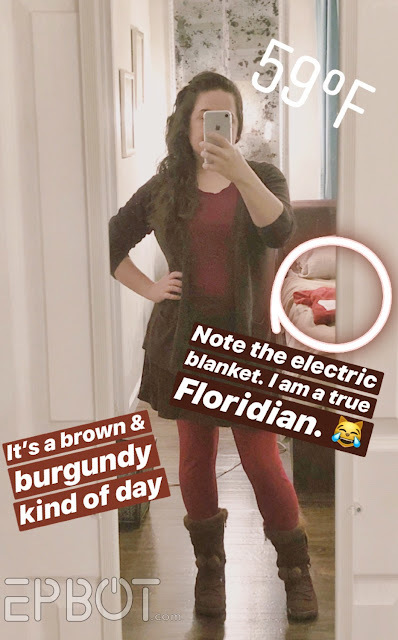 We are having a perfectly normal winter...we use the heater at night, and it rains in February. 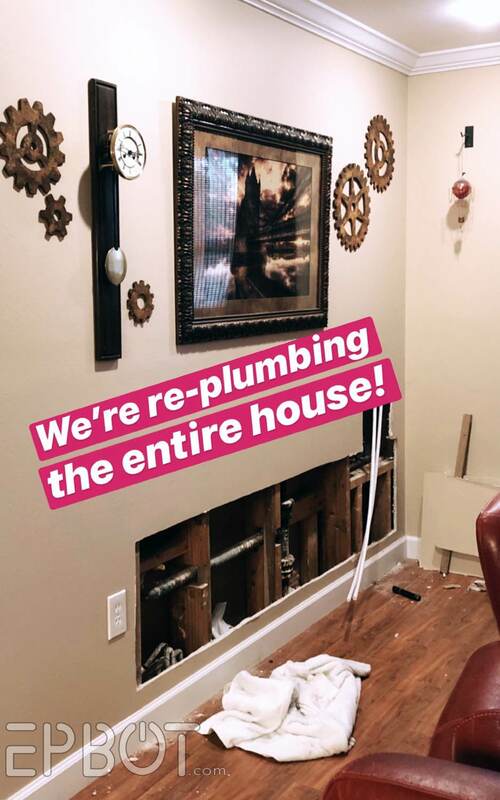 As far as plumbing goes, we had to replumb, but we didn't do it, we hired plumbers. A hot water pipe broke under our slab and started leaking up through the floor and soaking the carpeting and everything, so the replumbing was done in the crawl space above. The walls were never the same. Then, the pipe bringing the water from the city to our house broke in our yard, so we had to replace that too. Home owning isn't for the faint hearted. My point...and I do have one...is this. Please add (or tell me where to find if you already have) a video on how to patch and repair the drywall. We moved almost a year ago and the walls are still filled with the other folks' nails and screws, also some holes where the towel bar had fallen down. I don't know how to fix stuff like that. My hubby isn't a handy man at all, but he works his bottom off to make enough money to pay the experts. He's retiring in 24 days, and he deserves it!! But he still won't be a handy man. The one time I asked him to hang a picture, he tossed the hammer onto the couch and broke the picture. But I think if we knew how to do some of this basic stuff, we'd have the time to do it soon and not so much the money to pay the experts. 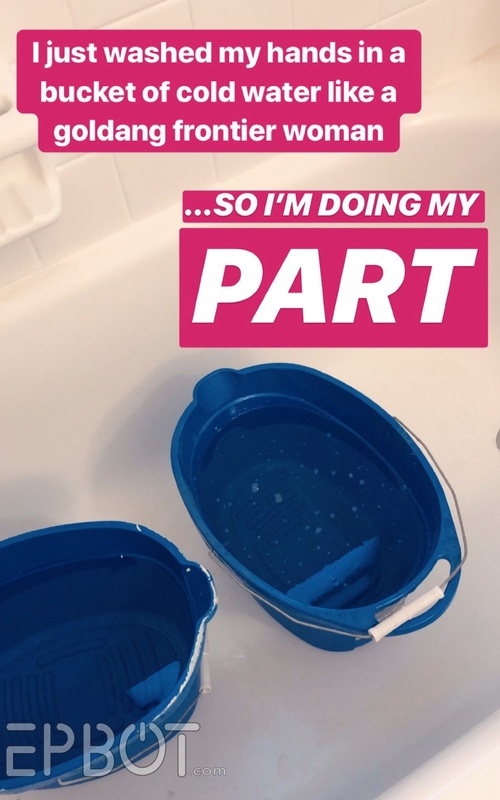 I wanted to replace the wax ring on our toilet after that video you did, but he didn't see a reason to. It's old and stinky, that's reason enough, isn't it? Anyway, drywalling and drywall repair, please?!?! Ooof, let me tell ya, Betty: drywall patching is one of - if not THE - hardest home repairs there is to get right. Even we can't get the seams to disappear, which is why we've never wanted to do a video: I think we'd get too muck flak for not getting it perfect! We do know all the right steps, but when it comes to matching textures? Darn near impossible. It's also a lot of work, and often requires re-texturing & painting the entire wall/area, not just the patch. All that to say, I recommend hiring a pro if possible! If John and I do tackle a video for it someday - because it's been requested a lot - it'll probably be the "good enough" tutorial for low visibility areas, ha. Thanks Jen! It's good to know that it's not just hard for us, but hard for everyone! 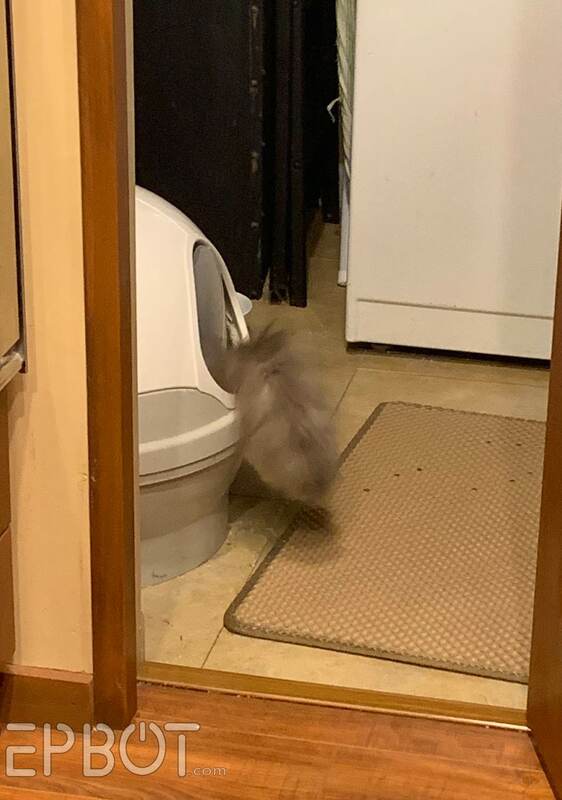 Your cats scrabbling at the door like bloodthirsty wolves absolutely cracked me up. In the "Cat Who..." series of books the author describes cats' nature as "perverse" (Not to be confused with "perverted!" They are two very different things!) and I have found that to be so true!The picture of Suki in the litter box totally made my day. 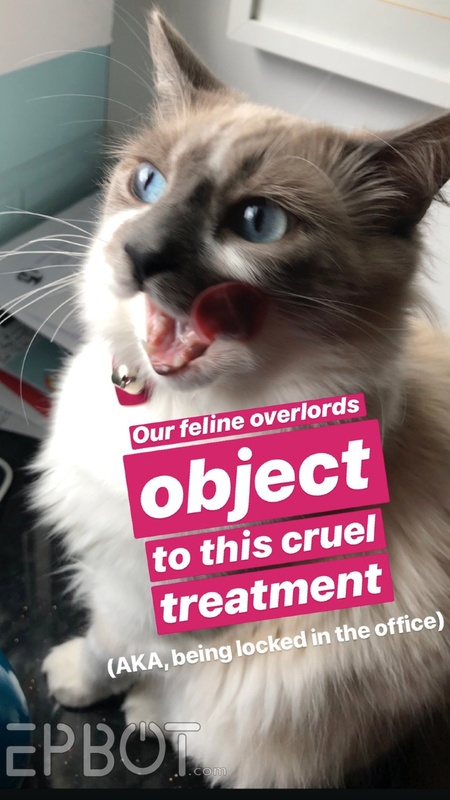 I especially love the pics of your kitties' exploits. 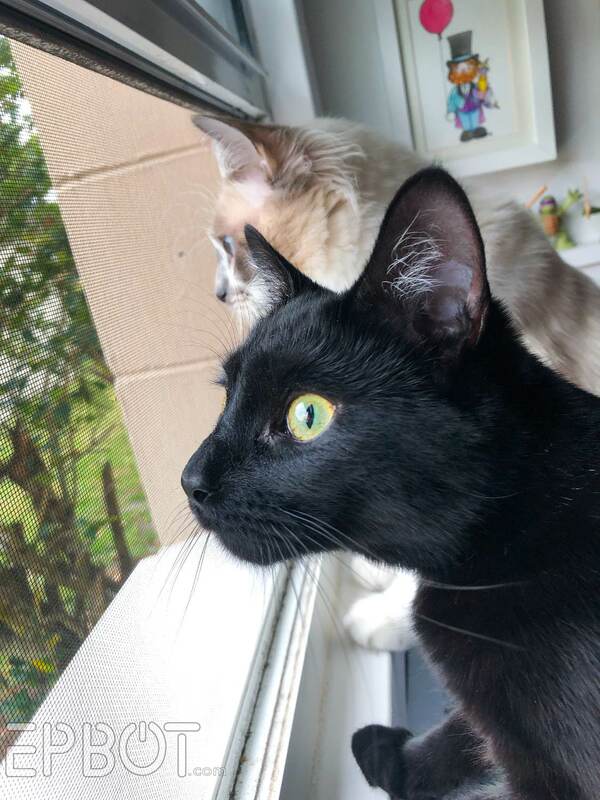 I'm too extremely allergic to have furry pets of my own, so I enjoy your kitties vicariously. 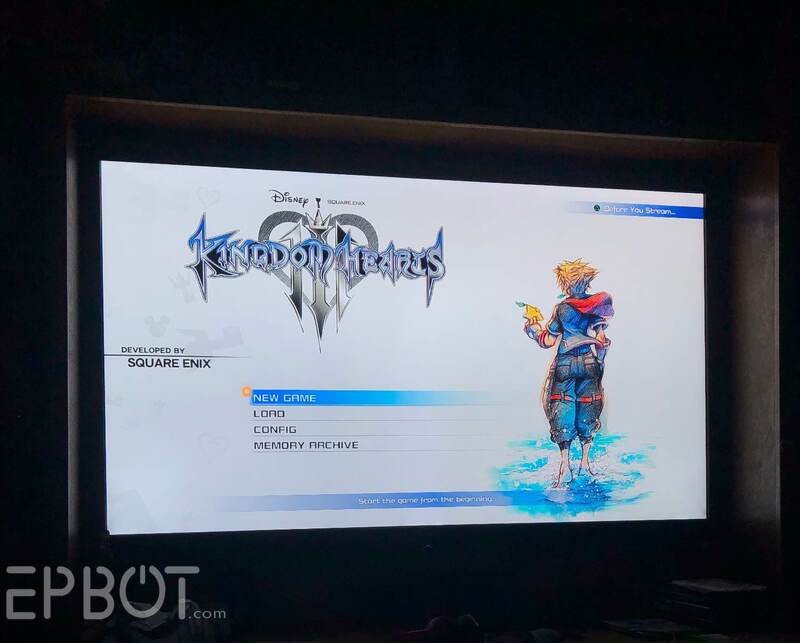 Can't wait to hear your thoughts on KH3! I've been slowly making my way through 1.5 + 2.5 (any maybe eventually 2.8?) before I let myself buy 3. Spent this weekend working through BBS which I have been enjoying immensely! "They spent the entire time scrabbling at the closed door like blood-thirsty wolves." I was so hoping for a pic or video of cat paws under the door! Blood-thirsty wolves...heh..heh!